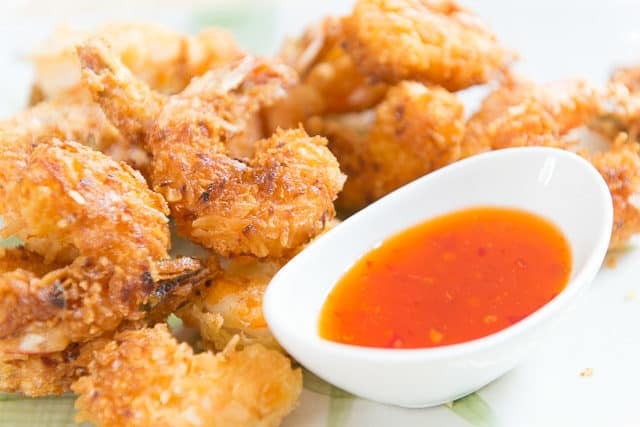 Coconut Shrimp is popular at restaurants, but once you see how quick and easy it is to make at home, you’ll want to make it yourself! I can’t fathom a time when I would not be excited about eating coconut shrimp. Admittedly, I’m fully aboard the coconut train and love it in all forms possible, but there’s something especially delicious about coconut shrimp. It’s a little tropical and reminds me of vacation. For a long time I thought of coconut shrimp as restaurant food. 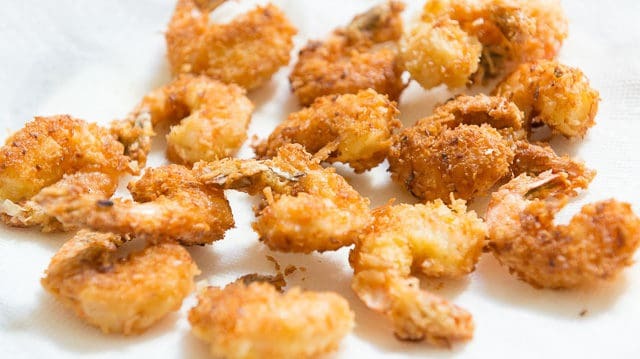 I mean, deep fried delicious things ARE normally the kind of food you find when you’re dining out, but it’s super easy to make at home, and you don’t even have to deep fry the shrimp. I rarely set up a deep fryer because I find discarding the large amounts of oil to be a bit of a pain, so most of the time I will shallow fry these instead, and it works great! Now it’s time to bread the shrimp! 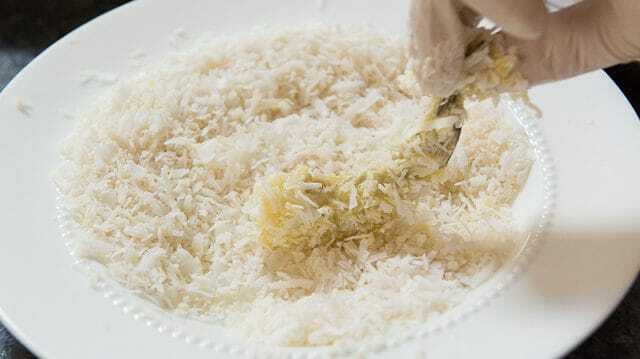 Unsweetened coconut flakes are fairly easy to find now, and I get mine from Trader Joe’s and Whole Foods. Personally I don’t like using the sweetened coconut that’s typically used for baking, because it’s really sugary. I save the sweetness for the sauce! Now it’s time to cook! 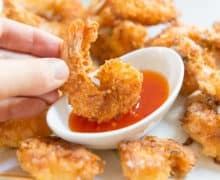 If you want the simplest and most even cooking, deep fry the shrimp for about 2 minutes, until the coconut is golden and the shrimp is cooked through. 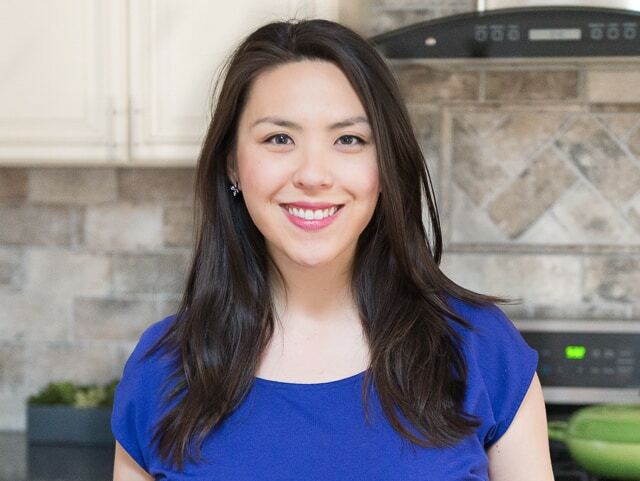 Truthfully, these days I just buy chili sauce, but you can also make your own “cheat sauce” with orange marmalade, apricot jam, and garlic chili sauce or sriracha. Other favorite shrimp recipes are this Shrimp and Avocado Salad, Honey Walnut Shrimp, and Peel and Eat Shrimp with Andouille Sausage. Can you bake coconut shrimp? It won’t have the same crunch or color as a fried shrimp, and I’m a big fan of enjoying the real thing. 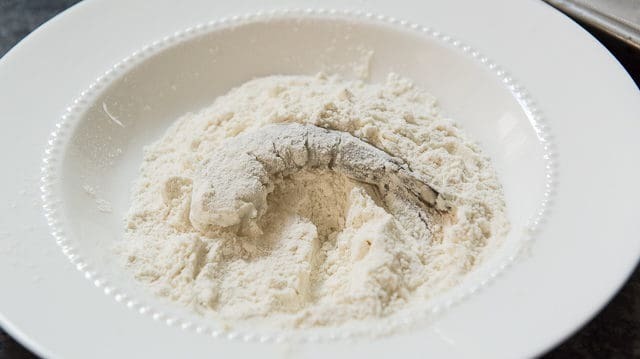 However, if you want to bake it, place the shrimp on a rack set on a sheet pan, spray with cooking spray, and bake at 425F for about 10 minutes, until the shrimp is cooked through. Can you make coconut shrimp ahead of time? I don’t recommend it, but fortunately this is a quick recipe to get through. What to dip coconut shrimp in: These definitely need some sort of sauce, and my favorite is sweet chili sauce. There are some great ones you can buy, or you can make your own. 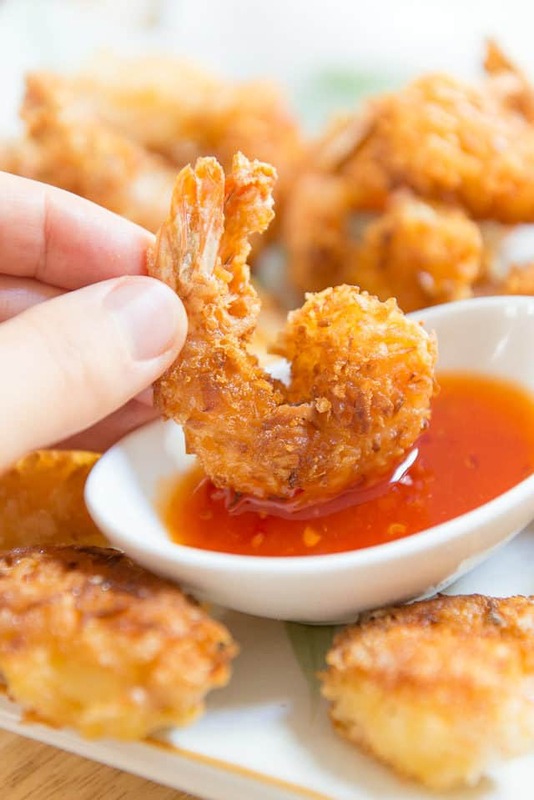 Can you store leftover coconut shrimp? These will not taste good reheated, so I recommend cutting the recipe in half or making whatever amount you think you’ll eat. 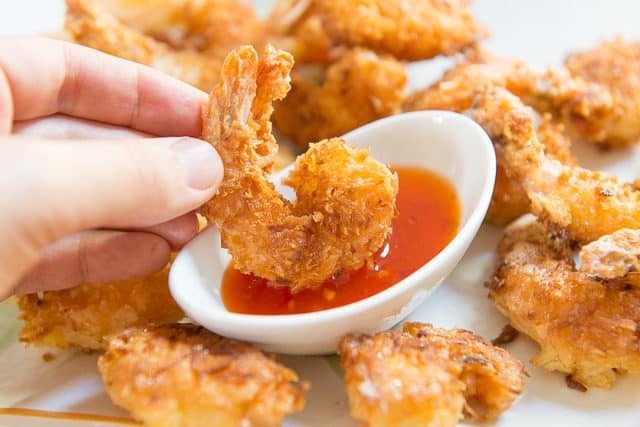 Coconut Shrimp is popular at restaurants, but once you see how quick and easy it is to make at home, you'll make it yourself! You don't even have to deep fry them. Start by seasoning all of your shrimp on both sides with salt and pepper. Set up your breading station by having flour in your first bowl, eggs in the second bowl, and the coconut and panko in the third bowl (whisk to combine). 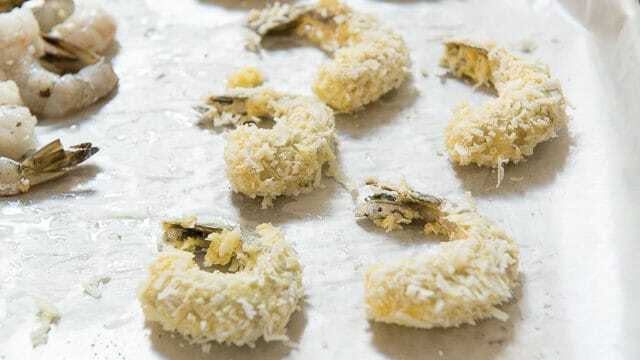 Set a platter or large sheet of wax paper onto your counter, and dip all the shrimp in the flour, then the eggs, then the panko coconut, and lay them out to sit until ready to fry. The most important thing to remember here is to let all the excess drip off. If you’ve ever had breading fall off, it means you didn’t shake off excess flour and/or egg. 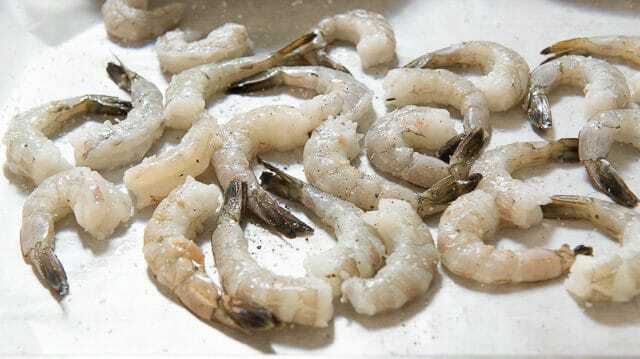 In batches, deep fry the shrimp at 350 degrees F for 2 minutes, until golden brown and cooked through, then remove them to a paper towel. 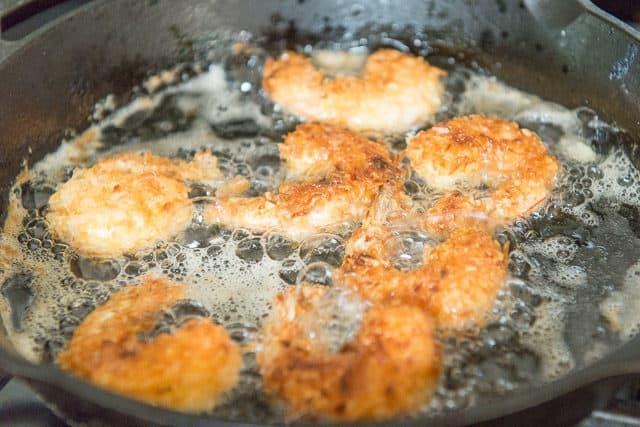 If shallow frying the shrimp, add 1/2" of oil to the skillet, and fry over medium high heat for about 60-90 seconds on each side. Stir together the orange marmalade, apricot jam, and chili sauce to taste, and serve as a dipping sauce for the shrimp. Enjoy! This post was updated from the archives with new photos, writing, and a video. Originally published August 2011. Oh thanks! I often get shrimp at outback and I was looking for a good recipe thanks! I will have to try your recipe! 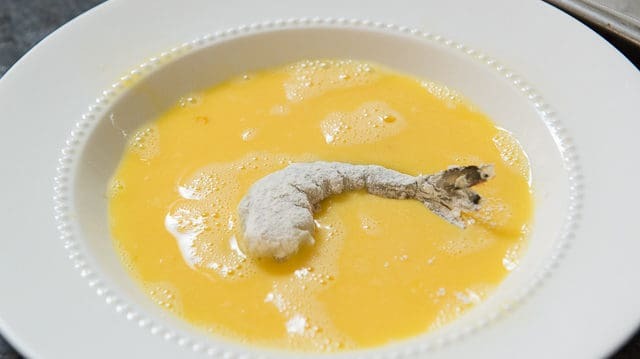 A local restaurant serves their coconut shrimp with a horseradish marmalade. It sounds bizarre but is amazing!!! I mixed the two ingredients together (orange marmalade and horseradish) at home once and it was nearly identical to theirs!